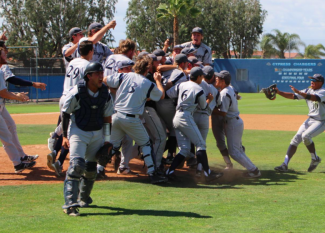 Cypress celebrates its series clinching victory over Grossmont on Saturday. 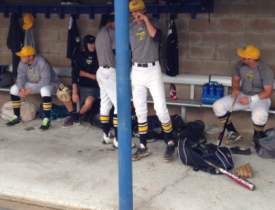 CYPRESS (5-22-16) — It isn’t the ride that fans do not like when it comes to JC Baseball at Grossmont College, it is that sudden stop at the end of the season. Well, that stop happened on Saturday (May 21). The Griffins end the season 31-12 and 19-5 in Pacific Coast Athletic Conference play and finish as one of the final eight teams in the State of California to be playing baseball on the Junior College level. That 19-5 record in PCAC play garnered them a Conference Championship. Just like Friday, the Griffins had a pair of home runs. 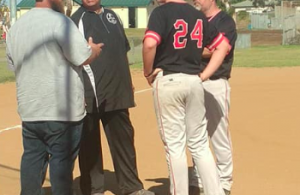 On Saturday the sluggers were sophomore JUSTIN MITCHELL (Granite Hills) and freshman TREVOR BEARD (San Clemente). 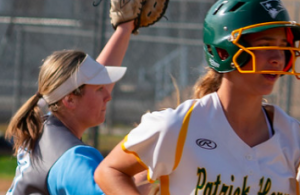 Both Grossmont batters had four RBI’s on the day to cap off their seasons. 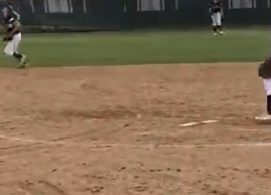 On the mound, freshman DONAVON McCRYSTAL (10-1, West Hills) had his only bad start occur in what would become the final game of a fantastic season. McCrystal went 2 and 2/3 innings allowing eight hits and 11 runs (only four earned) while walking two and striking out one. Cypress (30-13) scored all 11 of their runs in the first three innings as they were the designated road team in the contest. Then the Griffin come back started. With one out in the bottom of the third, freshman MICHAEL DIFFLEY (Granite Hills) singled to shortstop. Freshman CABOT VAN TIL (Patrick Henry) reached on a fielder’s choice. Diffley looked to be out, but a throwing error by the Cypress first baseman allowed him to go to third instead. Van Til was caught stealing, but while the Chargers were dealing with the freshman, Diffley came in to score to make it 11-1 Cypress. One inning later, freshman ROBERT BOSTEDT (Granite Hills) singled to right field. Mitchell thought that was such a good idea he also hit a single to right field, allowing Bostedt to move to second. Beard got his first two RBI’s of the game on a triple to right field scoring both Bostedt and Mitchell to close the gap to 11-3. Following a strike out, freshman JUSTEN BURKEY (San Pasqual) grounded out to second allowing Beard to score to make it 11-4. The fifth inning saw the lead shrink even more for the Chargers. With one out, sophomore TANNER PERRY (Steele Canyon) singled to center field. Freshman NOAH STROHL (La Jolla) followed with his own single to center moving Perry to second. Bostedt walked to load the bases. Mitchell deposited a hanging curveball beyond the right field fence for a grand slam and closing the differential to 11-8. The Griffin bats were held silent for the next two innings. In the eighth inning, the Green and Gold rallied, but couldn’t score. Heading into the final half inning of the season, the Griffins were still trailing 11-8. But they wouldn’t go down quietly. Strohl was hit by the first pitch that the Charger closer threw. After a pair of strike outs, Beard crushed a two-run home run to make it 11-10. Unfortunately, that would be the final score as the closer would go on to strike the final batter out. All four (two in both Northern and Southern California) sectional series were closed out on Saturday. Next weekend, the final four teams will meet at Fresno City College to determine the State Champion. The #1 Northern seed will be Santa Rosa Junior College (35-8) who will be facing the #2 Southern team Cypress in the first game. The #1 Southern team is Golden West (29-14) will take on the #2 Northern team Cosumnes River College (34-10). It will be a double-elimination tournament for the State Championship. W. Aguilar tripled to center field, 2 RBI; B. Gonzalez scored; A. Case scored, unearned. E. Skipps grounded out to ss, RBI; W. Aguilar scored. L. Swofford doubled to left field, RBI; P. Gomez scored. A. Case reached first on an error by p, SAC, bunt, A. Case advanced to second; L. Swofford scored. B. Gonzalez flied out to cf, sacrifice fly, RBI; A. Case scored, unearned. A. Case singled to center field, 2 RBI; P. Gomez scored, unearned; B. Coolen scored, unearned. W. Aguilar homered to left field, unearned, 3 RBI; B. Gonzalez scored, unearned; A. Case scored, unearned. , picked off, Cabot Van ti out at first p to 1b to ss to 2b, caught stealing; Michael Diff scored, unearned. Travor Beard tripled to right field, 2 RBI; Justin Mitch scored; Robert Boste scored. Justen Burke grounded out to 2b, RBI; Travor Beard scored. Justin Mitch homered to right field, 4 RBI; Robert Boste scored; Noah Strohl scored; Tanner Perry scored. Travor Beard homered, 2 RBI; Noah Strohl scored.